This is a very difficult question because we are talking about two of the most iconic dishes in the world. The origin of pizza has a lot to do with bread in Italy, since in ancient Rome it was customary to make bread in a circular shape and cut into portions. 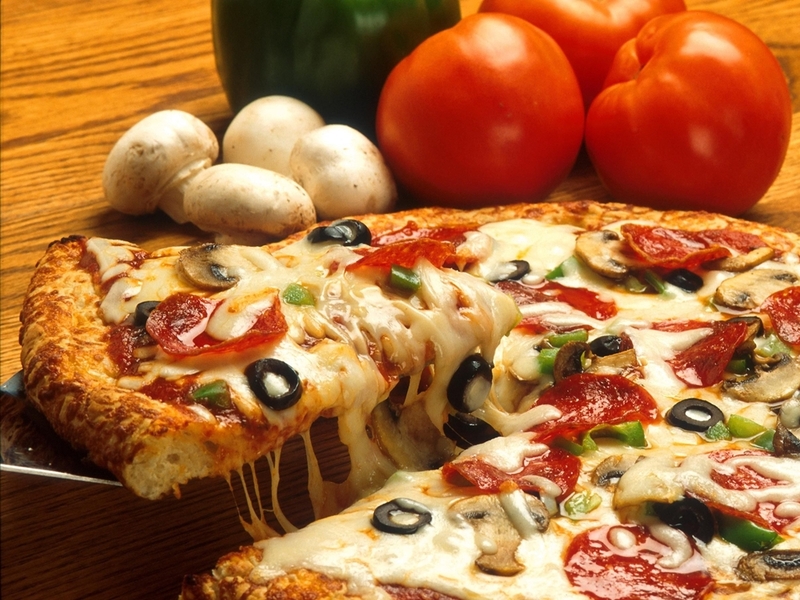 Years later, other ingredients such as tomato sauce and mozzarella cheese would be added to this flour dough, but nowadays pizza accepts a wide variety of ingredients such as fruits, vegetables, meat, fish, seafood and sausages. Who can refuse the taste of a pizza? Grosso modo, there are two types of Italian pizzas: La Napolitana and La Romana. The first is made with a more hydrated mass, so that the crust is spongy and the dough is softer. The Roman is finer and crisper (the dough contains less water) and is baked longer. Undoubtedly the best known is the pizza Margarita. Created by a Neapolitan pizzaiolo (pizzero) in 1889 in honor of Queen Margarita: its ingredients – tomato, mozzarella and basil – represent the three colors of the Italian flag. We also have the simple Marinera, with tomato, garlic, oil and oregano. Full of ingredients are the Whimsical and the Four seasons, made with, in addition to tomato and mozzarella base, mushrooms, artichokes, ham, olives and, in the first of them, boiled egg. For the lovers of cheese is the Quattro Formaggi, with mozzarella, fontina, gorgonzola and provola. Full of flavor is the Boscaiola, with mushrooms and sausages, lighter but equally delicious is the white pizza (without tomato) with potatoes and rosemary. One of the ingredients that foreigners like is onion and peppers. Spicy fans will ask for a Diavola with the famous Calabrian salami. There are hundreds, maybe thousands, of varieties of pizza and how to dress it up that make this product even more delicious, known and, above all, loved all over the world. On the other hand, pasta is the basic pillar of Italian cuisine and there is a very wide range of types of pasta, each with a different shape. Usually, the pasta is always served accompanied by a sauce and always seasoned with spices such as oregano or basil. 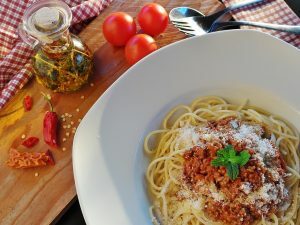 The meals with Italian pasta are included as a first course within the typical structure of a menu of Italian food, that is, as il cousin (Italian strong dishes), after l’antipasto. The quality of grain and water are the two most important factors by which one has to judge the excellence of pasta. Among the main names of Italian pasta are: Spaghetti (it’s typically served with a tomato sauce, meatballs or Bolognese sauce), Penne (they are great particularly with chunky or meaty sauces), Lasagne (is most often served in layers between cheeses and sauce, which can include either meat or vegetables) and Ravioli (the pasta can be filled with meat, vegetables, seafood or cheese). Why should anyone have to choose between this two delicious dishes when you can have them both!? Enjoy you pizza and pasta!